New research has suggested that a tax hike on health insurance could be putting more strain on the NHS by causing almost 200,000 people to ditch their private cover in the last three years, Insurance Premium Tax (IPT), which is levied on some types of policies, including health insurance, has doubled to 12% since 2015. More than 700,000 patients in England will wait longer than four hours in A&E as hospitals face the worst winter ever. The NHS aims to admit or discharge 95 of patients within 4 hours of arriving in emergency departments. The Health Foundation said hospitals are now struggling to meet this target all year round, not just in winter when pressures are traditionally worse. Experts believe stillbirth and newborn death risk could be reduced by offering more pregnant women the chance to give birth on their due date. Currently, women who are overdue but well are often given a couple of extra weeks to see if labour will happen spontaneously before doctors intervene. New research suggests bringing forward induction to 40 weeks’ gestation may be a safer option for mothers and babies. 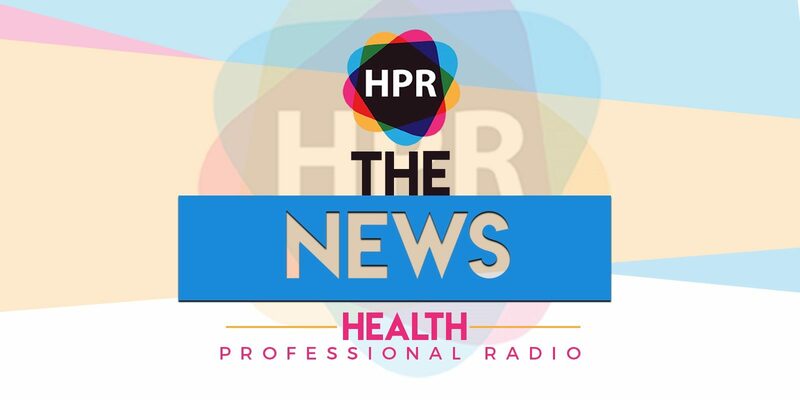 News on Health Professional Radio. Today is the 17th of November 2017. Read by Tabetha Moreto. New research has suggested that a tax hike on health insurance could be putting more strain on the NHS by causing almost two hundred thousand people to ditch their private cover in the last three years, Insurance Premium Tax (IPT), which is levied on some types of policies, including health insurance, has doubled to twelve per cent since two thousand fifteen. According to the study by the Centre for Economics and Business Research (Cebr), which was commissioned by private healthcare provider Bupa, the rises have contributed to thousands of people giving up policies which covered treatment for conditions including cancer, heart and joint surgery. It estimated that every one per cent increase led to around thirty one private health insurance customers to depend solely on the NHS for their healthcare. The report warned that the situation will worsen further if Chancellor Philip Hammond raises the tax once again in next week’s Budget, a move the reports’ authors suggest will cause more people to cancel their policies or reduce their level of cover. The company said IPT hits people in most need the hardest because older people or other groups perceived as higher risk pay higher premiums and therefore more tax. Oliver Hogan, chief economist at Cebr said: “The impact of the tax has not been considered by the Government and we hope this research will make for interesting reading for the industry, the government and the public. More than seven hundred thousand patients in England will wait longer than four hours in Accident & Emergency as hospitals face the worst winter ever. The NHS aims to admit or discharge ninety five percent of patients within four hours of arriving in emergency departments. But the Health Foundation expects the number of patients seen in this time frame could fall to eighty seven percent between January and March – which would be the worst quarterly performance since records began in two thousand four and two thousand five. The charity said hospitals are now struggling to meet this target all year round, not just in winter when pressures are traditionally worse. Unless the trend of recent years is significantly improved, seven hundred thirty five patients thousand will wait longer than four hours, it estimates. That would be a three hundred eleven percent rise compared to winter two thousand ten and two thousand eleven. The Foundation estimated that the NHS will need at least three hundred sixty million pounds extra funding this winter in order to meet this target. Adam Roberts, of the Health Foundation, said: “With temperatures already dropping, it seems clear the NHS will be relying on the hard work of its staff to get it through the additional pressures of winter this year. The Health Foundation, plus The King’s Fund and Nuffield Trust, have previously warned the Chancellor should allocate an additional four billion pounds to the NHS next year to stop patient care from deteriorating. Experts believe stillbirth and newborn death risk could be reduced by offering more pregnant women the chance to give birth on their due date. Currently, women who are overdue but well are often given a couple of extra weeks to see if labour will happen spontaneously before doctors intervene. New research suggests bringing forward induction to forty weeks’ gestation may be a safer option for mothers and babies. The study, in PLOS Medicine, included first-time mothers aged thirty five and over. Experts says that this is a group that generally has a higher risk of birth complications – although the absolute risk for an individual woman and her baby is still small. It is also a group that is growing in number, with fourteen percent of first-time mothers in the UK now aged thirty five and over. In two thousand fifteen in England and Wales, almost forty thousand women aged thirty five or over gave birth to their first baby, according to the Office for National Statistics. Inductions are offered to avoid the risks of prolonged pregnancy, which can include stillbirth. In the UK, about one in three labours starts in this way. Guidelines recommend inductions are offered to pregnant women between forty and forty two weeks of gestation – one to two weeks after the due date. But according to the new research, one baby death might be avoided for every five hundred twenty six inductions of labour if women over thirty five were helped to give birth on their due date rather than a week or two after it. In the study of nearly eighty thousand women in England, the rate of stillbirth or death of a baby within seven days of birth was eight per ten thousand pregnancies when induction was carried out earlier, compared with twenty six per ten thousand when induction was postponed (known as “expectant management”) to allow more time for labour to happen naturally. Professor Lesley Regan, from the Royal College of Obstetricians and Gynaecologists, said the implications of a policy change would be enormous for both the health service and women themselves.